Strategically located halfway between Tralee and Killarney in Farranfore, Kerry Truck Services is a one-stop shop for all your truck, trailer and commercial vehicle repair, service and maintenance needs. 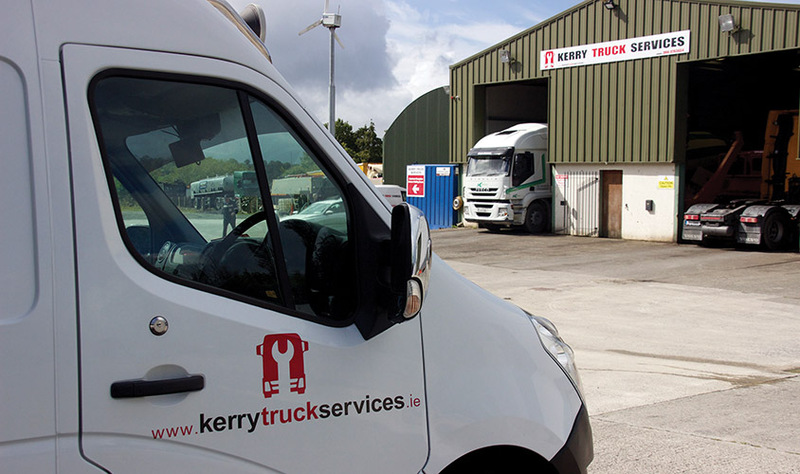 Approaching its 20th anniversary, Kerry Truck Services continues to go from strength to strength by offering an unrivalled service to a wide range of customers in Co. Kerry and beyond. Proprietor Jason Cotter and his team of technicians can carry out all necessary maintenance and repairs to your vehicle or trailer at their state-of-the-art workshop, which is situated close to Kerry Airport and boasts a full range of diagnostics for all makes and models. The garage also carries a vast range of spare parts and offers a 24-hour breakdown and recovery service. Opening hours are from 9am to 6pm Monday to Friday and 9am to 1pm on Saturdays. A native of Croom, Co. Limerick but now living in Killorglin, Co. Kerry, Jason Cotter had worked all over Munster as a mechanic before setting up Kerry Truck Services in Listowel in 1998. The garage relocated to its current 6,000 sq feet premises, which includes a driver’s waiting and canteen area, in April 2013 to cater for a growing customer-base and to provide a county-wide service. “Our workshop caters for heavy and light commercial vehicles as well as all types of trailers. No job is too big or too small,”Jason says. “It has been a great move for us because we’re centrally located between the two biggest towns in Kerry (Killarney and Tralee). We also have a lot more space here than we had in Listowel. Jason has invested heavily in his workshop and repair equipment. The four-bay, two-pit workshop features a new AHS Varioflex roller brake tester which can carry out brake tests on all heavy and light commercial vehicles. It also boasts a side-slip tester, shaker plate system and all the latest diagnostics and software. The garage is currently investing in column lifts to improve efficiency. Kerry Truck Services also stocks parts for all makes of trucks, trailers and commercials which can be purchased over the counter. “We supply genuine spare parts for all the leading truck brands, including Renault, Scania, Volvo, DAF, Mercedes and Mitsubishi. We stock braking equipment from WABCO, Haldex and Knorr Bremse along with airbags, air valves and everything else. In the unlikely event of us not having a particular part in stock, we can have it for the customer within 24 hours,”he explains. Preparing your vehicle for DOE, HGV and LGV testing is all part of the service provided by the Kerry Truck Services crew, who will answer any queries you may have before and after the test. Their aim is to prepare the vehicle efficiently and assist the vehicle owner in getting a pass certificate. If a vehicle undergoing a DOE test is found to be in need of repair work, it can be carried out later. Kerry Truck Services also helps customers with scheduling their 13-week vehicle inspections and carries them out to the prescribed standard. In addition, the garage will provide the vehicle owner with instantly accessible maintenance records which fully comply to RSA standards. The company also undertakes breakdowns for all the leading garages in Cork & Limerick. Four of the garage’s longest-serving customers are Christy Lucey Transport, KWD Recycling, Kerry Co-Op in Listowel and Charleville, and Higgins Waste & Recycling. The garage works closely with the Kerry Group’s 3,500 milk suppliers in the South-West of Ireland. “We’ve become proficient in maintaining and repairing pumps, hydraulics and metering equipment for milk tankers by working for Kerry Co-Op and Lee Strand over the past 20 years. We deal directly with the drivers who provide the milk collection services on behalf of Kerry Co-Op and Lee Strand. You couldn’t work for two better companies,”Jason enthuses. Other loyal customers of Kerry Truck Services include Lee Strand Co-Op, George Savage Transport, Henry Denny & Sons in Castleisland, Corrib Oil, MC Group, Total Produce & Plassey Foods. “We’re fortunate to have so many good clients on our books. 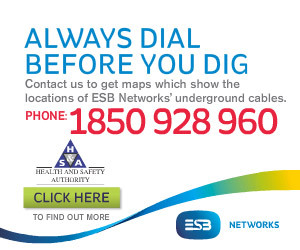 We would like to take this opportunity to thank them for their continued support. All of our customers, regardless of their size, are guaranteed the same great service,”Jason concludes. For your next truck, trailer or commercial repair or maintenance job, be sure to give Kerry Truck Services a call.